← Washing Laundry With Soap Nuts Review – Do They Work? 5 out of 5 leaves! Plastic baggies have been a common sight in packed lunches of children and adults for years. They are super handy, and a great way to keep a sandwich fresh, or a snack contained and clean. However, they are made from non-renewable fossil fuels, and are usually sent to the landfill after only one use! Fabric or reusable snack bags area more sustainable option, but are they worth it? How do reusable snack bags work in real life? Better for the Earth – the EPA reports only 1%-3% of the 380 billion plastic bags used each year are recycled. Reusable bags stops that cycle of waste. Saves Money – using these bags over the whole school year will cost less than buying boxes of the little plastic baggies. Super Durable – the reusable fabric bags are much more durable than flimsy plastic film. They won’t break open in your purse or diaper bag. Easy to DIY – you can easily make your own snack bags using recycled materials from around your house! (More on this later…). 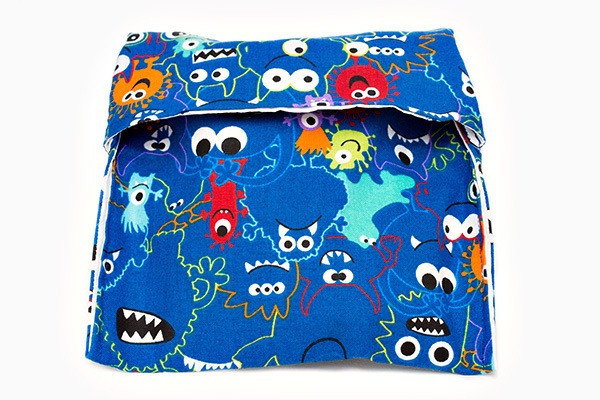 Fun fabric – there are tons of fun prints available for every age. Easy to wash – toss in with a delicate load or hand wash with the rest of the dishes. Although I’m just starting to pack school lunches, I’ve been packing playground snacks for years! We are just starting the kids-in-school part of our lives. My oldest starts an all day transitional kindergarten program in less than two weeks (although I was sure he was just born not too long ago…). With the school days, come packed lunches, and with packed lunches comes the what/how to pack conundrum. With our Real Food eating habits, our lunches tend to be small piles of fresh fruits, cut up veggies, nuts, cubes of cheese, or slices of whole grain bread. I like putting these in baggies, as individually packing in glass containers like these gets too heavy for a little guy’s backpack. Reusable baggies are much easier to fit into any lunch container, are lightweight, and can be found (or made) in fabrics that suit everyone. I found a cool tutorial on Pinterest for making your own using small pieces of fabric and recycled plastic grocery bags for the liner! I decided to go for it! They were super easy, and it was fun to have the satisfaction of using up some of our collection of Target bags. I made all these cute bags with fabric scraps from other projects! 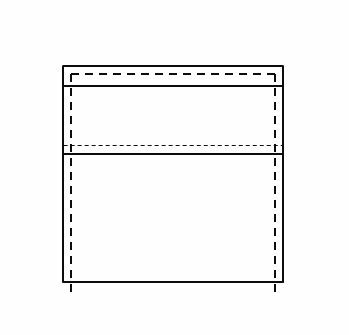 Fold the fabric in half, fold one side back down (like this) and do a quick stitch around the sides. THAT’S IT! It’s so simple anyone who can use an iron, scissors and sew a straight line can do it! these bags come together pretty quickly. I got three done one afternoon while my girls were napping, even with my 4 year old “helping”. The tutorial above makes an old school “fold over” type of bag. I also made some bags that sealed with a Velcro square closure, and another with a full Velcro strip closure (like a zipper, but with Velcro). I just used some cotton fabric scrap I had left over from other projects. I was really pleased with the results! Whether you make your own, or order some cute pre-made snack bags , you use them just as you would any other snack bag. I’ve found the fold over bags the easiest to use once you get the hang of flipping the pouch over just right. The bags are soft and flexible, but also sturdy and strong. After about three months of regular use, our bags show no signs of wear. The kids love them and jostle each other to pick out their favorite fabrics whenever I’m packing a lunch. While these would probably do fine on the delicate cycle of the washing machine, I find it much easier to hand wash along with the dishes each night. Usually the just need a quick rinse or internal wipe down with a sponge. I turn them inside out to dry and they are ready again he next morning. I highly recommend using these reusable snack bags! They are great for wet (damp not dripping) or dry food, are sturdy, easy to wash, and can be made or purchase in fabrics suitable for all members of the family. I found them quick and easy to make when following this tutorial. If craftiness isn’t your thing, these bags are a good price, and come with great reviews. 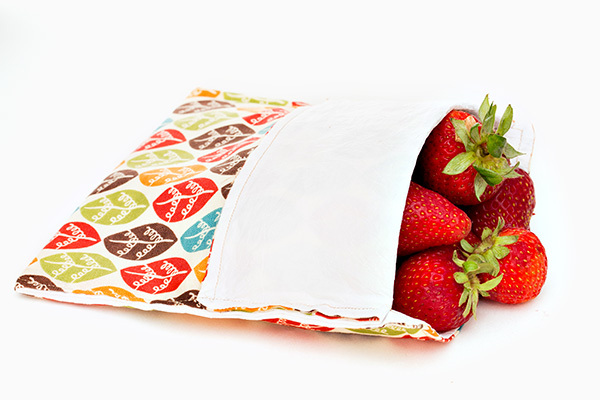 Have you ever tried reusable snack bags? What’s you’re favorite on-the-go snack? This entry was posted in Baby and Kids, Ditching the Disposables, DIY Green Ideas, In the Kitchen and tagged better for the earth, homemade, kids, real food, reduce, reusable, saves money. Bookmark the permalink. 31 Responses to Ditching the Disposables: Reusable Fabric Snack Bags Review – Do They Work? Are you kidding me? Pardon me, but alls I can say is Thank God for plastic zip-lock baggies! 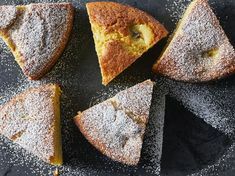 I can see this turning into one big mess with wet and squished food dripping everywhere in the kids’ lunch pack; cloth covered food bags left lying on the kids lunch table, or traded to another kid, while mommy tries to find it/them with the poor little kid crying about losing one or two. (And, don’t forget; some kids make fun of and will bully another kid who comes in carrying some strange or homemade gizmo). Got way more to think about and do than hand washing cute little baggies every evening or trying to find one or two the next morning when everyones’ trying to get ready for school. Just more unsettling (and unnecessary) chaos to deal with every night and morning. There’s nothing worse than sending your kid to bed crying and heartsick, or off to school in the mornings feeling bad about parental chastisement at home. That’s no way for your kid to go to bed, feeling horrible about themselves and expect to get a good nights’ sleep, or off to start the school day feeling heartsick over a lunch baggie they can’t retrieve. Thanks, but no thanks! Eliminate your problems, don’t create more problems for your kid to have to suffer through. Don’t make a nervous wreck out of your kid. They have enough to deal with. Anne, your comment made me smile! Certainly we can both agree that if this Green Idea adds more stress for mama and kiddos, then it’s probably not right for your family. I hope this week is a peaceful one for you! I’m a teacher and have seen students with reusable bags at lunch. In the case I observed the other students found the bags to be fun and asked how they got a bag like that. It started a conversation between the students about waste. It’s amazing how much children will be advocates for what they believe in. I love these conversations and teachable moments! It probably has to do with the personality of your child and how involved they are with reducing waste. If they are involved in the bag making or choosing fabrics and especially the conversation they actually become proud and little ambassadors. It also helps if they are part of a community that focuses on reducing waste. Many classrooms and entire schools have conversations and activities about this which would make the children less likely have a problem with another reducing waste. Anyway… I did have a question. How do these compare to using a bento box or container? My husband is resistant to use reusable bags for his lunch and we’re almost completely out of plastic bags. We decided once they’re gone we won’t be getting anymore. It seems like containers work for everything we would use a bag for so far. I’m considering getting metal bento boxes for lunches since glass isn’t ideal. I’m wondering what the comparison would be between a bag or container? Thanks for your perspective, Katherine! My kids picked out some of the fabric for their bags and LOVE them! I prefer using the bags over a bento style box for my own lunch as I like having more flexibility on food shape and portion size. But I’m thinking they might work well for an elementary school lunch… I’ll have to give it a try. Maybe a bento box with a reusable bag on the side? The plastic side of a flannel-backed tablecloth is usually made of vinyl. There is a lot of evidence that the plasticizers used to make vinyl flexible are at least as unhealthy as BPA. Do your research before you decide to wrap your food in vinyl. Regarding this response, is a Target plastic bag food-safe? I’m not stating that it isn’t, I like this craft idea, but was wondering if it’s a safe material to put food in? Sorry, nevermind. Posted too soon. I scrolled and read the food safety plastic response. I think this is a fabulous idea! One of my daughter’s friends has similar re-usable bags in her lunch. I’ll be sharing this on my Frugal Local Kitchen Facebook page, and I would love it if you would link up the post at my Fabulously Frugal linky on Thursday on A Life in Balance. I recently bought three at WalMart for 1.96 each. they are Igloo brand and they wash and reuse very well. These are for my hubby’s lunch and he was skeptical but they working out great for us. I’ve looked into buying some reusable bags, but I read some reviews that crackers and stuff like that tend to taste stale in these bags. Has that been a problem? I generally pack lunches the night before and leave them in the fridge overnight. I don’t think I’ll be making my own, but I would like to buy some. Hey Kasey! I can’t say for sure for the DIY bags, because we don’t usually have those kinds of snacks. However the amazon reviews for these bags says that pretzels stay fresh for a day, but start getting stale after a few days. I’ve always wondered about those and enjoyed reading your review! My issue with them is that I have one who tends to accidentally throw EVERYTHING in his lunch away and that might get a bit costly around here. Maybe I’ll experiment with them on my husband’s lunch and my older son has improved enough that I can send real spoons in his lunch now (that was an issue for a while as well). Ouch! That sounds like a pretty frustrating problem! Wow, these are great! They are adorable. I pack my toddler’s breakfast, lunch and snack for daycare everyday, and I always feel guilty when I use plastic baggies. I will try these out and hopefully nix the plastic baggies! These are so cute, and my girls would love them! Thanks for sharing. I love the idea of making the bags out of old plastic shopping bags, but I have to wonder about the safety of the plastic. As far as I know, #4 LDPE doesn’t have identified health hazards, but it’s a different plastic from sandwich bags (polyethylene), and shopping bags are not designed for direct contact with food you’re not going to wash before eating, and then there’s the question of what happens chemically when you bond the layers with your iron…. Hi Becca! I used Target shopping bags for the liner, which are labeled as recycled LDPE. LDPE stands for Low Density PolyEthylene, so it actually is they same type of plastic used in traditional snack bags. The iron is used at a very low level to melt the layers together. This would just be material phase transfer (from solid to liquidish and back), and wouldn’t chemically change the plastic in any way. Of course everyone needs to do what they feel is best for their family based on the information they have. Thanks for sharing your thoughts! Duh! I knew LDPE was polyethylene, didn’t I? How did I miss that?! Knowing you’re a packaging engineer makes me feel more confident about the whole thing. I think washing the bag and using the parts without inks are good ideas, though. I read somewhere (but this was at least a decade ago, so it may have changed) that the inks used on bread bags and such don’t have to be food-safe because they’re on the outside of the bag, and they can contain lead. So although I reuse bread bags to store other food, I never use them inside-out. I was very excited about reusable snack bags, and bought some on clearance at Target about a year ago. I tried to like them, but just could not. They are ok for dry items, but didn’t work well for anything juicy (fruit, pickles, etc.) I stopped using them and instead reuse containers to minimize my bag use. It’s a bit more washing, but I’m ok with that. I think other containers are better than bags for juicy foods, anyway. It seems like the zip-tops of plastic bags only come undone when the bag contains something wet! I reuse glass jars mostly, but for situations where we don’t want to carry that much weight or need something unbreakable, I put wet foods in plastic bowls with snap-on lids. They’re not so hard to wash. I just wanted you to know that were featured at the HomeAcre Hop! I love the bags 🙂 Cute and practical! It worked this time! Thanks Sandra! How did I JUST see this one!? Looks like a great idea for homemade Christmas presents!! I think Karisa will be doing this one. I was wondering if you could use the wax from waxed/butcher paper for this? You can just iron that onto fabric. I love these! Since I am a recycle/reduce/reuse type of Mommie this is up our alley. 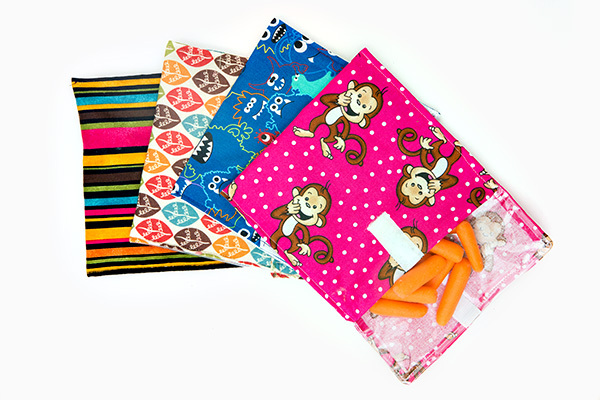 My husband and I have 4 daughters and I am going to make them the “old school fold over style” reusable snack bags. Instead of using recycle plastic bags or the like I decided to use some PUL fabric. I found 2 yards of it in the mark down bin at Wal-Mart for about $5.